The New Hampshire Press Association is pleased to announce the 2018 Distinguished Journalism Contest is now accepting entries. The contest covers the 2018 calendar year and is designed to appeal to all New Hampshire journalists. During planning, our overriding goal was to make the contest as inclusive as possible in recognition of our expanded membership base. The biggest change from previous contests is that for the first time all entries will be submitted online. No snail mail entries will be accepted. We using the Advanced Contest Entry System developed by the Illinois Press Association. This site is where you register to upload entries in any of the 38 categories. You will need the NHPA “Association Code” to complete the registration. That code is NHCONTEST. Please note that the contest differs from our previous competitions because in several award categories, entries from print, online only and broadcast members will be accepted and judged together. 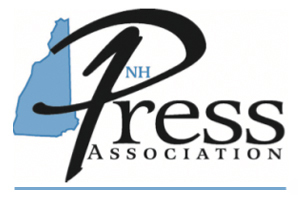 This change was made to more accurately reflect the state’s evolving journalism environment and the NHPA’s broadened membership. Entries can be submitted from now until the contest deadline of Monday, February, 11, 2019. Finalists will be announced by the end of March and a banquet to reveal the winners is planned for mid-April. The NHPA Board of Directors is excited to get the contest up and running again and believes our new online platform will ensure its sustainability and provide opportunities for future expansion. If you have any questions, comments or concerns, please contact our contest coordinator Phil Kincade pwkincade@gmail.com.